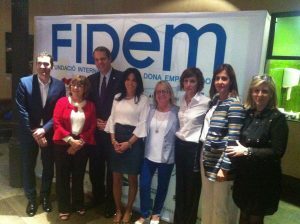 On Wednesday, June 6, the 5th Conference of the International Commission of FIDEM was held, this year dedicated to the United States of America, with the topic “We open doors to export to the US“. 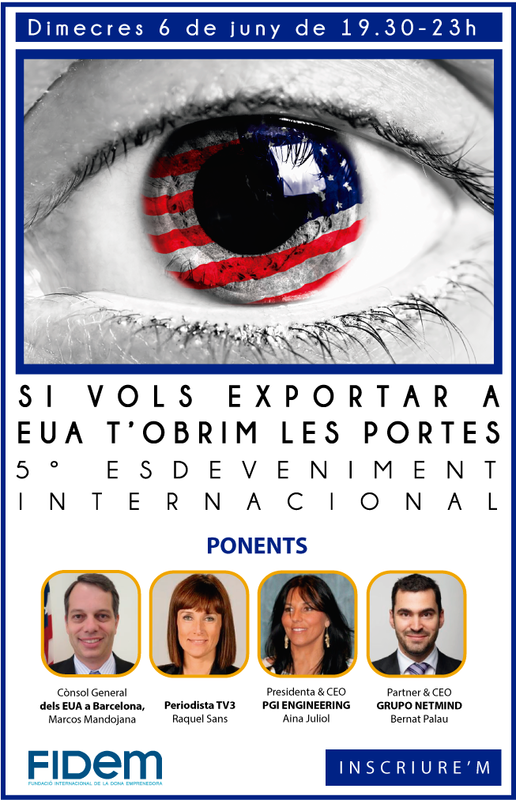 The event counted with the Consul General of the United States of America in Barcelona, ​​Marcos Mandojana, and with professionals such as Raquel Sans, journalist of TV3, who moderated the presentations of the night; Aina Juliol, President & CEO of PGI Engineering, and Bernat Palau, Partner & CEO of the Netmind Group. The Consul focused his presentation on the lowering of taxes of the United States Government for which investment in the United States should be much more attractive. The attendees explained their experience and offered the entrepreneurs and businesswomen tools to facilitate the export of their services or products in the United States. The speaker Aina Juliol exposed her 13 years of experience in the implementation of her company in Miami as a spearhead in order to give way to 14 more countries. His first failure to then get up and start a more advanced company in a country that gives second chances. 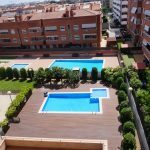 Bernat Palau, meanwhile as CEO of a consulting company and technology trainer, shared his experience, absolutely different from that of Juliol, in terms of integration in the American world. Both interventions gave an absolutely practical vision of how to work, of what attitude is valued and which can be the best partners for the adventure of internationalization via United States. The act was closed by Raquel Sans, who explained her experience as editor of TV3 for 4 years in Washington, as a journalist, as a mother and citizen who wanted to integrate fully into the local world.